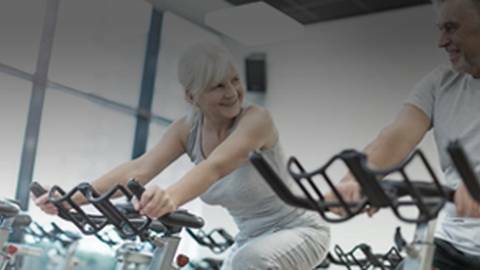 Dr. Benjamin Levine explains how regular exercise training can decrease cardiac stiffness and reverse the effects of sedentary aging on the heart. Poor fitness in middle age is a strong predictor of a person’s future risk of heart failure. Prolonged exercise training, including a regular routine of high-intensity and moderate-intensity workouts, can forestall the effects of sedentary aging by preventing increased left ventricular stiffness. Dr. Benjamin Levine joins host Dr. Brian McDonough to talk about how regular exercise training may provide protection against the sedentary aging of the heart by preventing an increase in cardiac stiffness. Dr. Levine is a Professor of Internal Medicine at the UT Southwestern Medical Center and the Director of Autonomic Function and Cardiopulmonary Clinics at the Institute for Exercise and Environmental Medicine at Texas Health Presbyterian Hospital.